Lucy provides leadership and planning for the Office’s innovative and purposeful use of technology for teaching and learning, drawing on her unique experience as both a faculty member and administrator to build inter- and intra-institutional collaborations. She’s an advocate for student-centered practices and increasing professional recognition and reward for excellence in teaching. Her areas of special interest include digital literacy, digital humanities, and project-based learning. 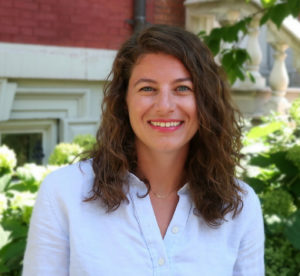 Prior to joining FAS, Lucy served as Associate Director for Instructional Design at Columbia University’s Center for Teaching and Learning (CTL) where she led the CTL’s innovative project partnerships with faculty. Previously, she served as the Director of Educational Technology for NYU’s Liberal Studies Program, where she led the team providing instructional technology solutions for faculty and students in New York and at NYU’s Global Sites. She was also a faculty member in the program and has more than 20 years of teaching experience, having also taught at Tulane, Vanderbilt, and Yale. Lucy holds a Ph.D. in 17th & 18th c. British literature from Tulane University and a B.A. in Classics and English from UNC-Chapel Hill. 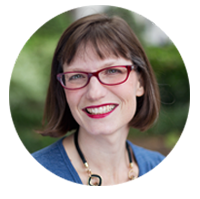 An active member of the larger educational technology community, Lucy speaks and writes about IT/academic collaborations, digital pedagogy, and open source practices. She serves as Vice Chair of the Board of Directors for the Apereo Foundation, an open source educational technology consortium. As the Senior Educational Technologist for the FAS Office of Educational Technology, Andrew partners with faculty, staff, and students to design, develop, and implement technology-enhanced teaching and learning initiatives, providing pedagogical and technical support to faculty in curricular design and development. Having spent many years as an educator before pursuing studies in instructional technology design, Andrew has a long-held interest in technology and its applications to teaching and learning, especially with respect to blended/hybrid instruction, active learning, and formative assessment strategies. Andrew’s special interests include: VR/AR, game design, learning analytics, web development, and digital media creation. Andrew has an M.A. in Music Education from Hunter College, CUNY and a Graduate Certificate in Instructional Technology Design from the University of Massachusetts, Boston. Andrew is the service lead for emerging technologies. 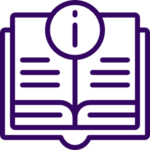 As Coordinator of Digital Pedagogy Initiatives for Faculty of Arts and Science here at NYU, Deanna organizes the outreach, digital humanities, and interdisciplinary initiatives of the Office. In addition, she collaborates with faculty and staff to develop, implement, and assess technology-enhanced teaching and learning projects across the disciplines, with a focus on humanities and language instruction. Deanna received her Master’s degree in Information and Library Science from Pratt Institute, with concentrations in Digital Humanities and Research + Assessment. She has previously held positions at Barnard Library and CUNY Baruch. Her focus within the office is on critical digital pedagogy, digital literacy, and open access projects. Deanna is the service lead for digital humanities. Lydia is an Educational Technology Specialist for Faculty of Arts and Science. 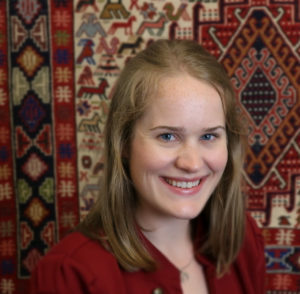 Before joining NYU, Lydia worked as an Instructional Designer with a focus on educational technology, teaching and learning online, and implementing rhetorical strategies to promote active learning. Lydia has an M.A. in Rhetoric and Composition from Colorado State University. Her research focused on digital literacy, transmedia principles, and educational technology. Lydia is the service lead for online courses and programs. 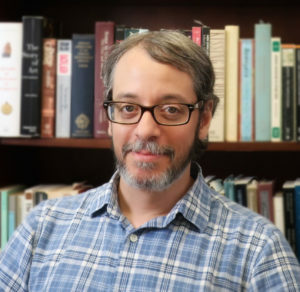 Tim’s work as an Educational Technology Specialist is primarily in support of NYU Liberal Studies faculty. He previously assisted faculty development as an Instructional Designer at Mercy College, supporting instructors with the implementation of evidence-based learning practices and technologies in both face-to-face and online courses. Tim holds a Ph.D. in Theatre from Bowling Green State University, where he focused on mid-20th century political performance. He also has a M.A. in Adult Learning & Leadership from Teachers College, Columbia University. Given his interests in performance, technology, and pedagogy, he enjoys collaborating with faculty to develop innovative ways to use games, simulation, and AR/VR technology to engage students in the learning process. Tim is the service lead for Scholarship of Teaching & Learning (SoTL) projects.